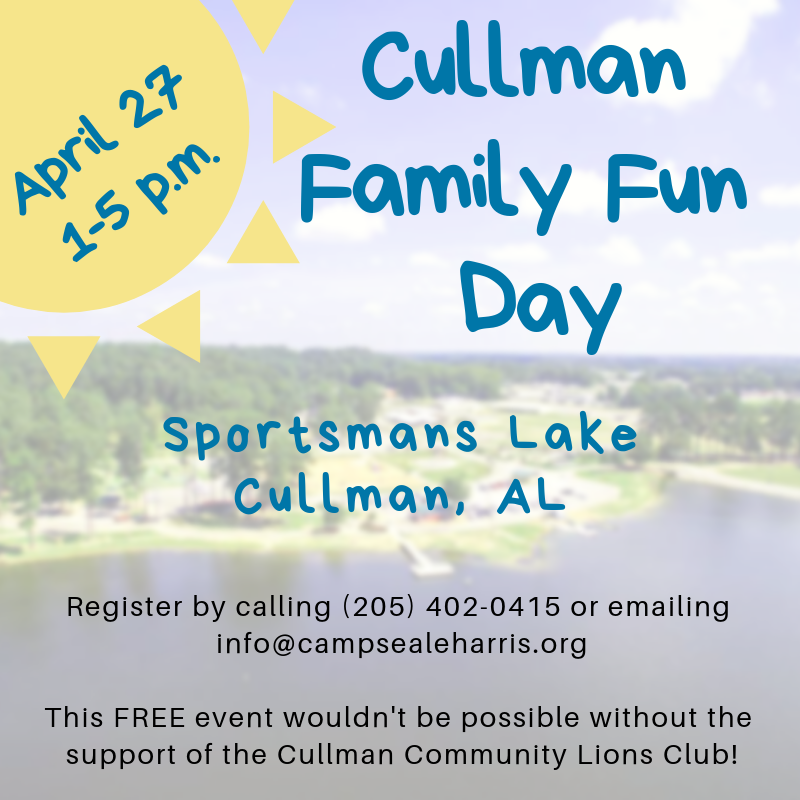 Join Camp Seale Harris and the Cullman Community Lions Club for a FREE Family Fun Day on Saturday, April 27 from 1-5 p.m. at Sportsmans Lake. Enjoy a bounce house, putt-putt golf, a guest speaker, free healthy snacks and more! All of this would not be possible without the support of the Cullman Community Lions Club. Thank you Lions!